The UK is very new to the cannabis world, especially in comparison to the United States. In the U.S., marijuana has been legal in some states since the 90s. However, in the UK, cannabis is only now starting to become more readily accepted, and it’s still very early days. Groundbreaking legislation that came into effect on 1 November 2018 states that UK specialist doctors can now prescribe cannabis-based products, like CBD oil, to patients. This is one of the biggest and most exciting changes in legislation to date. One of the companies that are taking fall advantage is a London-based company going by the name of Dragonfly Biosciences Ltd. Shortly after this development, they announced that they had secured a license to create CBD oil. As of early 2019, they have started the production and distribution of medical cannabis. One of Dragonfly’s main distributor of their CBD oil is Boots. Currently, there are only three CBD oils for sale, but it’s still very early days, and we have no doubt that we will be seeing more in terms of our Boots CBD review and their collaboration with Dragonfly. In this review, we will take a closer look at the brand and the product that is being sold. BOOTS CBD OIL: WHAT ARE THEY ALL ABOUT? Boots is a retail leader in the health and beauty industry, and pharmacy chain in the United Kingdom, Ireland, and a few other territories. 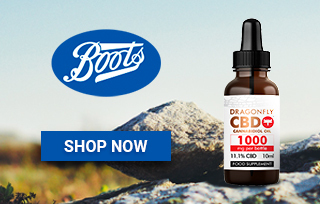 As we have already mentioned, CBD oil is very new to Boots; however, it’s by no means a new area of expertise for the company who manufacturers it. Dragonfly Biosciences is one of Europe’s leading premium retailers of cannabidiol (CBD). They are a self-proclaimed research-fuelled and community-minded business which controls the process from seed to sale. This helps to guarantee the most consistent and highest-quality products. 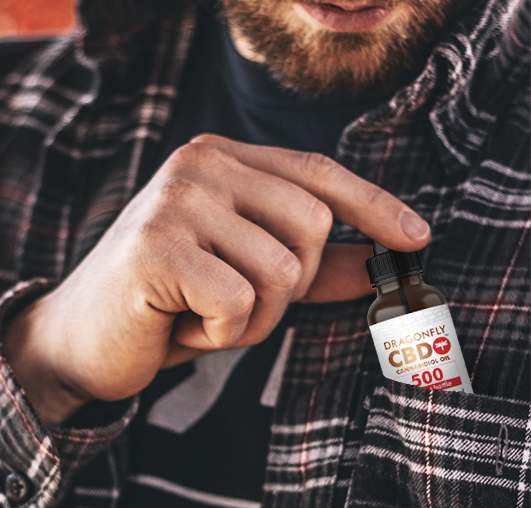 The UK was already Dragonfly’s biggest market for CBD food supplements, which are made from the liquid extract of the plant (which has been legal in the UK for a while), but now they are moving onto CBD oil as well. Their aim is to produce medical products that they can sell to clinical commissioning groups. The company produces the drug at big open-air farms in Bulgaria and then ships it over to medicinal facilities in Malta to produce CBD products. From there they move the products over to various distributors. In the UK alone, there are over 80,000 specialists who are able to prescribe CBD-based products. While this review is all about Boots CBD, essentially you are choosing the Dragonfly brand which is why we will also look at some things that really stand out about them. Free shipping on $45 or more: Boots offers free standard shipping when you spend $45 or more. Many other brands set free shipping at $75 or even $100, so this is not a bad deal at all. If you are a regular consumer, free shipping could really help you in the long-run. Collect points: If you have a Boots advantage card, you can earn points when purchasing your CBD products from them. We all know how those loyalty points can add up. Special offers: Boots has some great deals, like pay for two and get three offer on selected supplements, vitamins, health foods, and complementary medicines. So you could earn some great savings when buying your CBD products through them. Environmentally friendly: Dragonfly is dedicated to sustainable and ethical farming, testing, and formulation methods. They don’t use any animals in the production of their CBD extract. All of the cannabis is sourced from certified organic land, and they only use all-natural farming processes. No pesticides are used. Lab results: If you visit the Dragonfly website, you will find a lab reports tab where you can find all documentation readily available. This is how you can check that products are in fact, certified organic, THC-free, and come together with batch-specific documentation. We would love it if there was some information on the Boots website about Dragonfly. If you want to know more about the company, what processes they use, and what they are known for, you will need to head over to the brand website. However, there isn’t even a link to Dragonfly on the Boots site. So essentially, if you didn’t search Dragonfly CBD, you probably wouldn’t even know that they are a separate entity. Of course, this isn’t the end of the world, but there are many customers who like to find out a little more about CBD products and the brands behind them before making a purchase. Dragonfly CBD Cannabidiol Oil 300mg: This oil is sold in a bottle with a size of 10 ml. The bottle contains 3.3% of CBD. It’s suggested that to get the most out of the product; you should administer the oil under your tongue and hold it there for 2 minutes. You shouldn’t exceed using 133 drops per day. Dragonfly CBD Cannabidiol Oil 500mg: This is a 500 mg bottle that is also sold in a size of 10 ml. The bottle contains 5.6% CBD. You shouldn’t exceed 80 drops per day with this one. Dragonfly CBD Cannabidiol Oil 1000mg: This one is listed as coming soon on the website. It contains 11.1% of CBD and is also sold in a 10 ml bottle. You shouldn’t use more than 40 drops per day of this one. 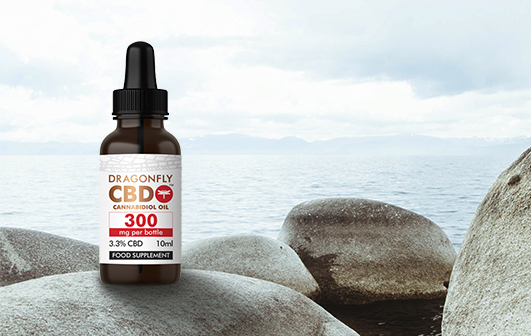 Dragonfly CBD Cannabidiol Oil 300mg: You can buy a 10 ml bottle for £24.99. However, keep a look out for the three for two specials offered by Boots. Dragonfly CBD Cannabidiol Oil 500mg: This bottle is sold for £39.99 and may also be found on a special offer. Dragonfly CBD Cannabidiol Oil 1000mg: This bottle will cost you £69.99. You will get 276 Boots advantage points if you make a purchase. This is a very new area of expertise for Boots CBD, but from what we’ve seen, there is a lot of potential behind this collaboration. If the UK follows in the footsteps of the United States in terms of cannabis legalization, then there sure are very big things to come. For now, Boots CBD is doing a great job offering the CBD products that they do. I'm always sceptical trying new CBD products, but the 500mg Dragonfly oil took me completely by surprise! It's a fast-acting and calming oil that makes me feel like im back on my A game. Maximus from Ashburn just bough! Myles from Ashburn just bough! Jensen from Ashburn just bough!